Tiles, especially those found in the busiest parts of a home, can accumulate a noticeable amount of dirt over time. Regular cleaning can help prolong the appearance of your tiles, but you will eventually need to call in the experts to perform a deeper cleaning. The Grout Specialist offers some of the best tile sealing and tile cleaning services in the area. Our experts are equipped with years of experience in the field and know how to apply effective, deep cleaning. With the use of our state of the art tools, we are able to target areas that household appliances cannot. Many individuals often purchase brand new tiles when their old ones begin to look old and worn. At The Grout Specialist, we want to save you time and money. 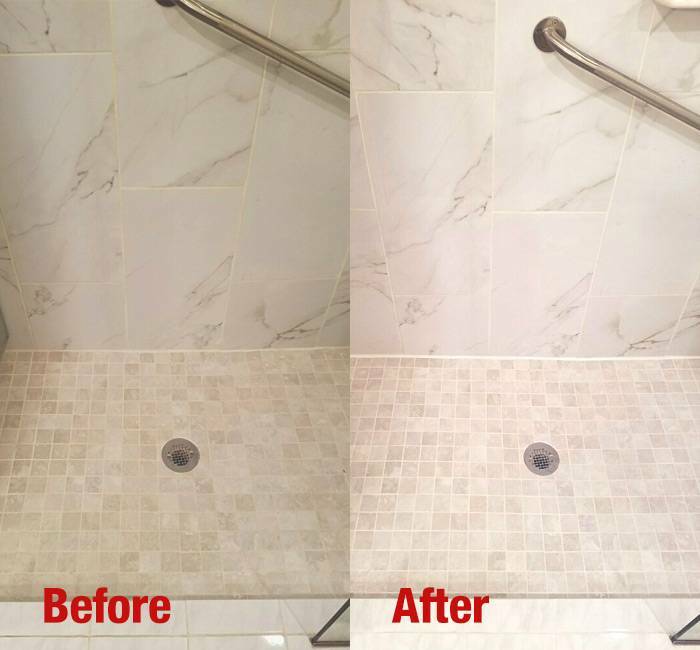 By utilizing our excellent tile cleaning services, we can have your tiles looking good as new in no time at all! You’ll be amazed what a professional touch can do to the appearance of your home or business. In addition to deep cleaning your tiles, we highly recommend our tile sealing services. Tile sealing is either a clear or colored sealant that is applied to your tiles after they are cleaned. This sealant creates a barrier between your tile and everyday influences such as dirt, stains, and kitchen debris. Your tiles will remain looking its best for longer than ever before. Wondering how often you should have your tiles clean? Every home or business is different, but we normally recommend that our clients have their tiles cleaned and sealed every few months. Our professionals are always happy to help determine the frequency that is best for your living or business area and schedule cleanings appropriately. Give your tiles the deep cleaning they need and contact The Grout Specialist today at +1 (720) 517-8041. or click here to schedule an estimate now! A total cleansing of your kitchen, living room, outdoor area, or bathroom tile is just a phone call away.